Alfresco dining is one of summer’s pleasurable experiences. 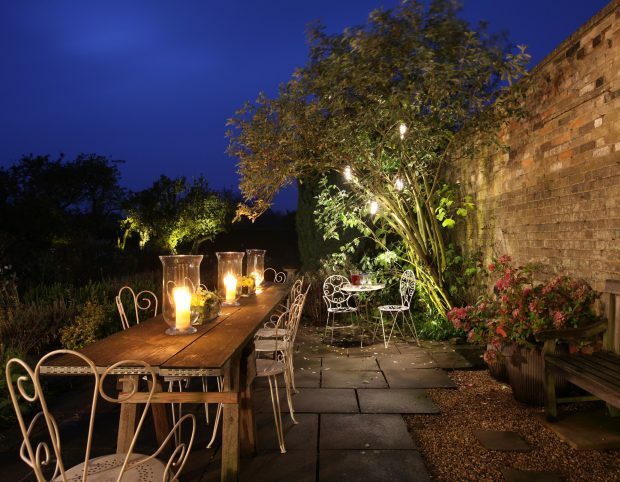 Creative Director Sally Storey shares her top 6 alfresco dining ideas on how the addition of light can add a wonderful new perspective to your alfresco dining experience. Begin by adding lighting to the centre of the dining table to create a more intimate feeling. 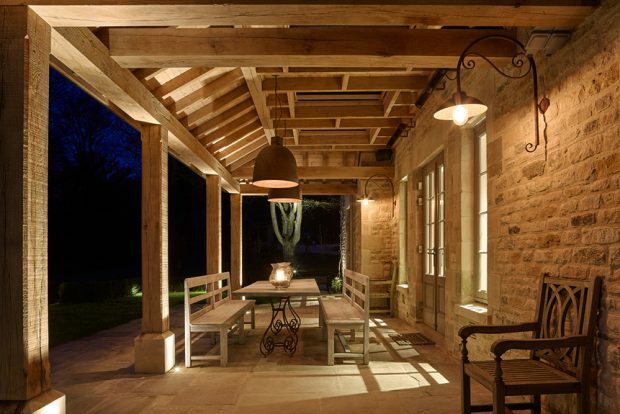 This can be achieved by the addition of exterior downlights such as the Syon spotlight or Waterspring downlight if you have a pergola above or by using candles for some kinetic energy. If you have a structure, whether more solid with a full roof or a structure with vines over the top, think of adding uplight to emphasise it. 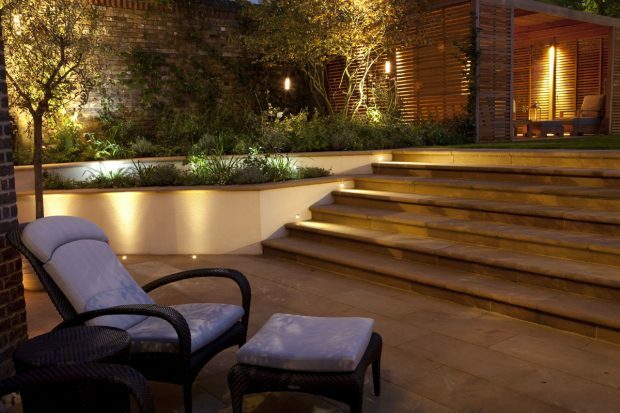 A perfect solution is the recessed 1w Lucca uplight or 1w Kew spiked spotlight within the planting. Combine with a decorative lantern to complete the scene. A great way of adding more interest and another layer of light is to add exterior LED strip such as our Contour HDX24 beneath the dining table or seating, if fixed, to create a soft floating effect. 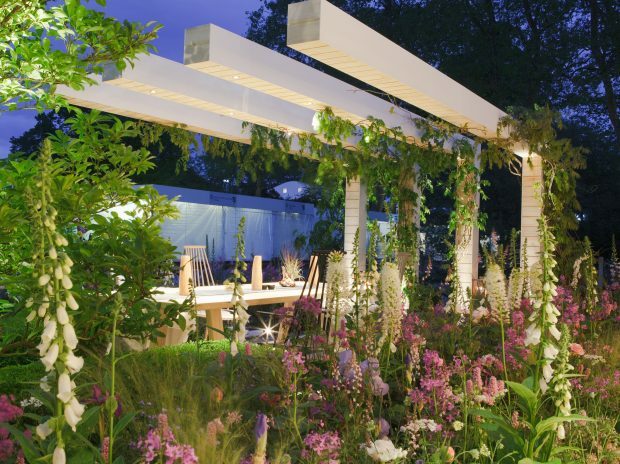 Combine with spiked Hampton floodlights and Kew spotlights to highlight the planting. Add a wash of light to the surrounding planting to show off the colours and flowers when it gets dark. This is best achieved with a selection of 8w Kensington spotlights for taller more structured planting or Hampton and Richmond floodlights for the front of flower beds or paths. For an additional element of magic, why not suspend our wonderful LED Starliter in a tree. These are best hung in three’s and they produce a wonderful twinkly atmospheric light. In addition spike some Carella candle lights into your flower beds to light them. These look like staked flares or nightlights and can even be used to light a path.